Are Seesaw Share Prices Impacting YieldCo Buying Power? YieldCos have been hammered lately, both in the stock market (though things have recently been picking up) and in the press. The reasons are myriad with theories addressing MLP values, rising interest rates, negative public statements from management teams, a slowing Chinese economy, lower oil prices, capital constraints and YieldCo disassociation from parents entities all being floated as potential reasons for recent losses in shareholder value. 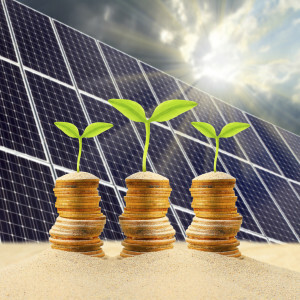 Over the past year or so, many have become hopeful that the YieldCo model, in the absence of an IRS-compliant Renewable Energy REIT structure, would become a viable way to access relatively cheap public market capital for transitional energy projects. Thus far, that has played out according to plan, as the YieldCo form has exploded. The question now becomes, do the current issues with share price deflate those hopes in any way? Should developers be concerned about the ability of YieldCos to be viable asset buyers? …YieldCos need to issue new shares (generally at higher prices than their IPOs) from time to time to raise capital for new investments as most of their cash flow gets wiped out by paying dividends. However, they are facing difficulties on this front due to depressed renewable energy stocks and an oversupply of YieldCos in the market, making investors reluctant to pay higher prices. Compounding this problem is the fact that it is highly likely that debt issuances will, at some point in the short- to medium-term, become a more expensive proposition. Today’s rates are historically low, and despite its occasional equivocation, the Fed has been preparing the market for rises in the discount rate, which will indirectly impact borrowing costs for corporate issuers. In short, more expensive capital may make it difficult for YieldCos to buy more assets, thus hindering the ability to increase dividend growth in a cycle some have compared colorfully to a Ponzi scheme. While it would be disingenuous to suggest that an inability to raise new capital is not problematic in the long-term for YieldCos and those that sell assets to them, they have cash and investment appetite in the near term. With the ITC step-down looming, the near term is what most developers, looking to sell over the next 12-18 months, are concerned about at present. If the premise that YieldCos are viable partners through the ITC step-down is true, developers and other sellers of projects should consider what their projects would need to be saleable. While we have preached the benefits of standardization, project readiness and on this page in the past, certain principles stand repeating in the face of transacting on an accelerated timeline with sophisticated counterparties. Market-ready document suites should be used. Tax structuring should ensure optimization of benefits under IRS-compliant structures. Projects need to be ready for primetime and not presented as ‘shovel ready’ if they aren’t as it is unlikely that Yieldcos will be willing to take on much in the way of completion risk. Even if publicly-traded YieldCos are viable partners in the short-term, recent negative perceptions may have asset sellers shifting their gazes elsewhere. For those looking to move away from these partners, it could be a good time to consider private models that are funded by sources such as pension funds and insurance companies with lower return expectations than traditional sources and therefore greater ability to both monetize developers’ projects and exhibit staying power after the ITC drop off. While the share price roller coaster investors have been on may not be that amusing, asset sellers shouldn’t be any more concerned about counterparty risk with YieldCos than they were earlier this year. YieldCos remain a viable counterparty in the near term and, while they may indeed have trouble raising capital in the future as share prices lag, and as cheap debt becomes harder to come by due to the decoupling of these entities from their parent’s balance sheets and the threat of a rising interest rate environment, the ITC step-down should be a far greater concern, both on a macro level and in the context of time. Disclaimer: The above is not intended to be, nor should it be construed as, investment advice. Special thanks to Morgan Gerard who assisted in the preparation of this post.